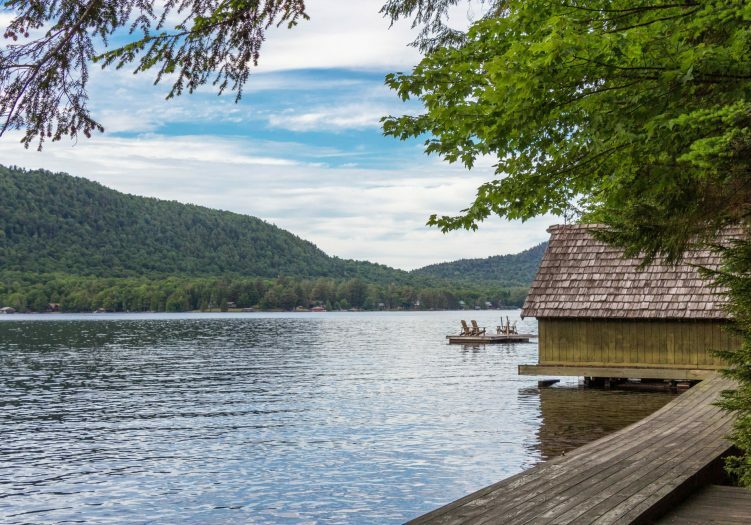 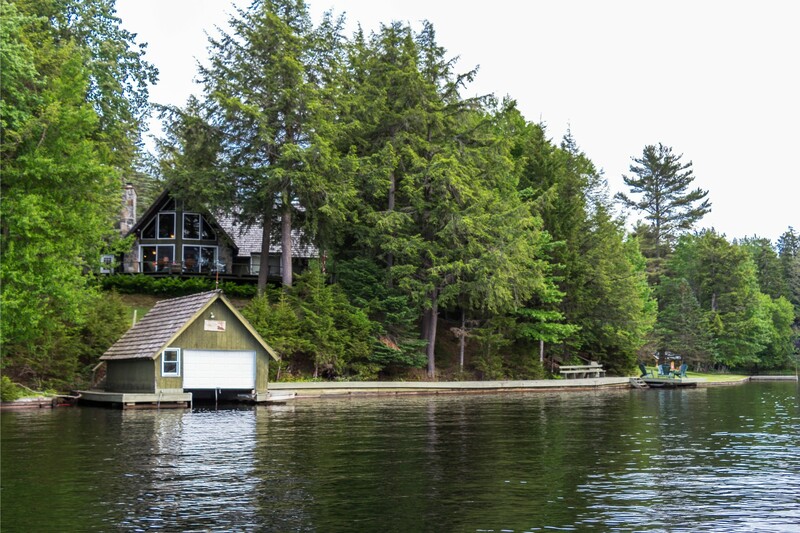 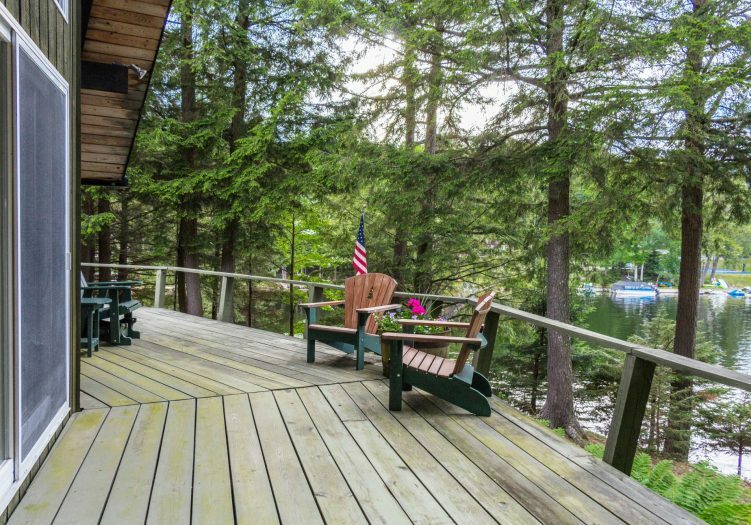 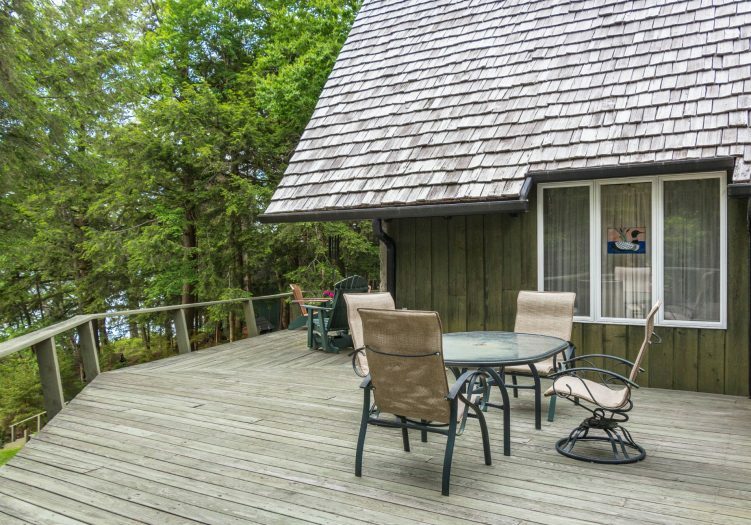 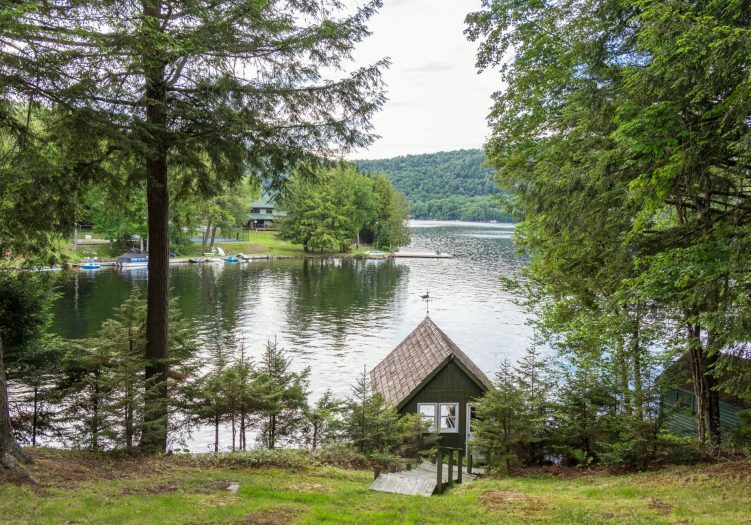 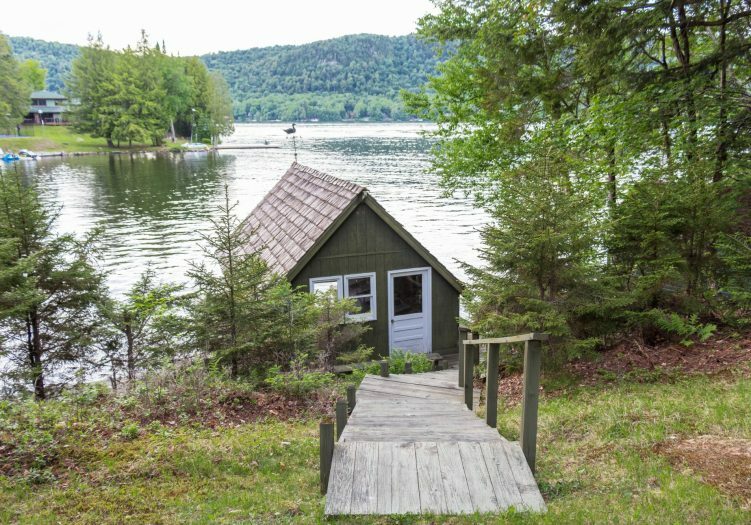 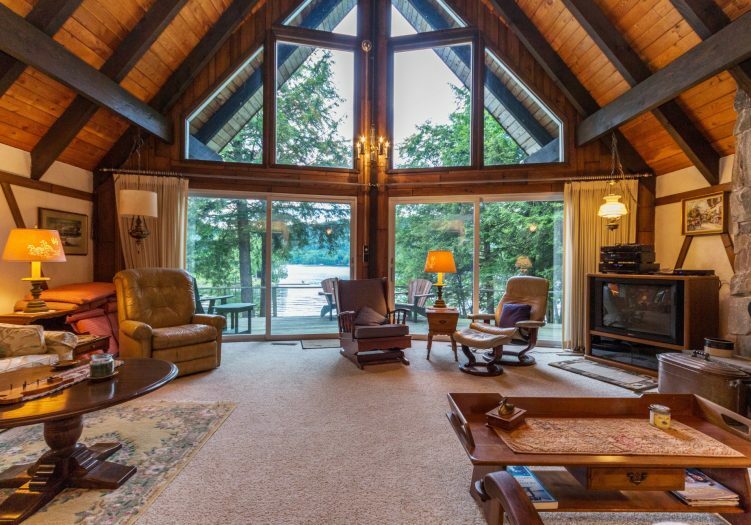 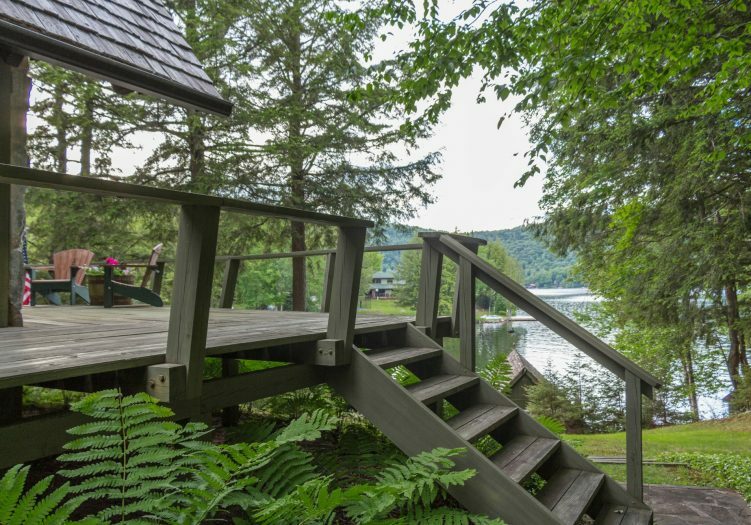 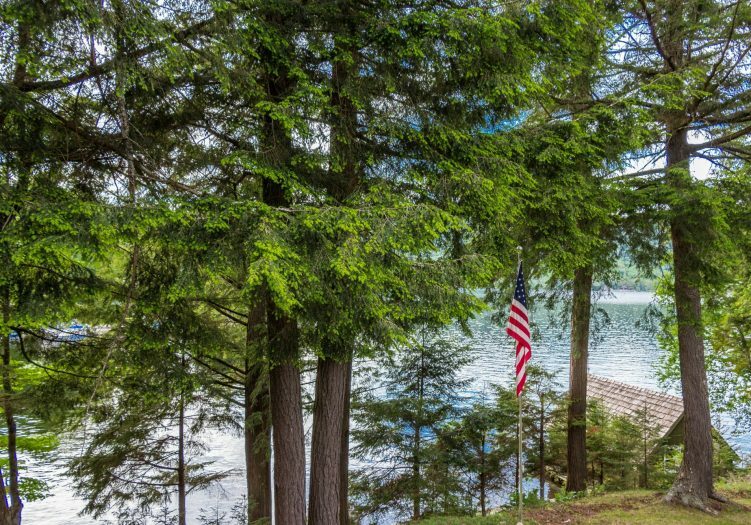 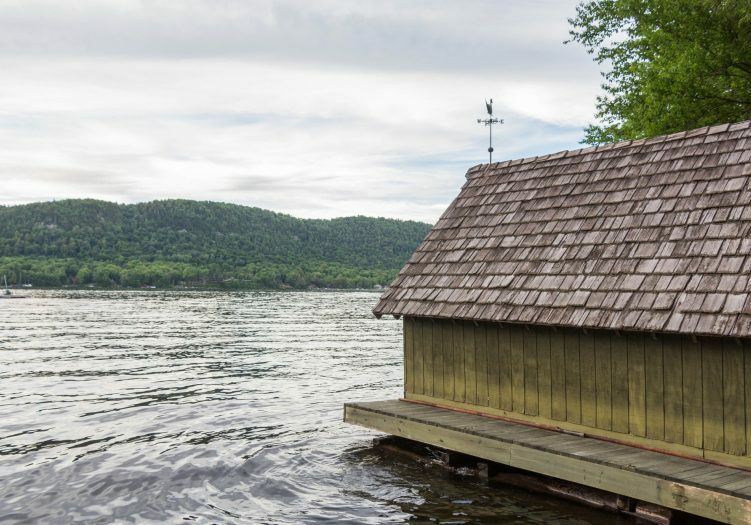 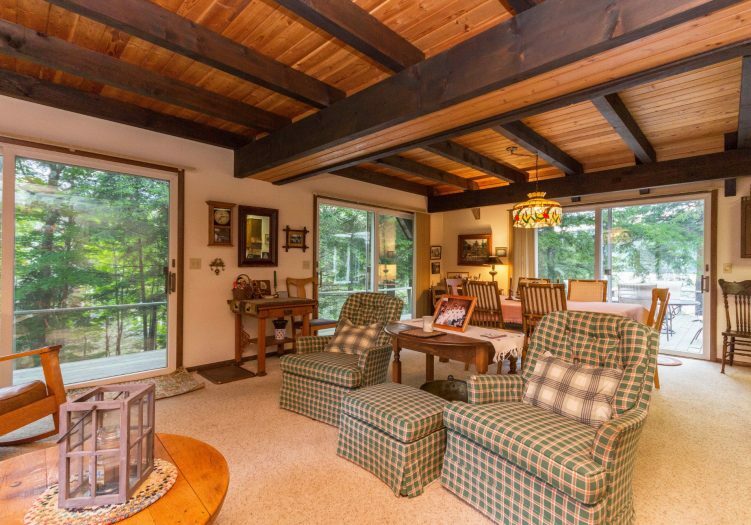 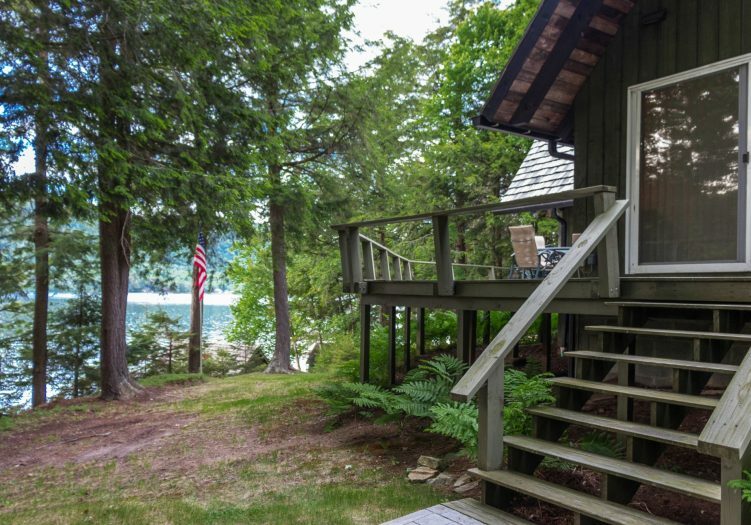 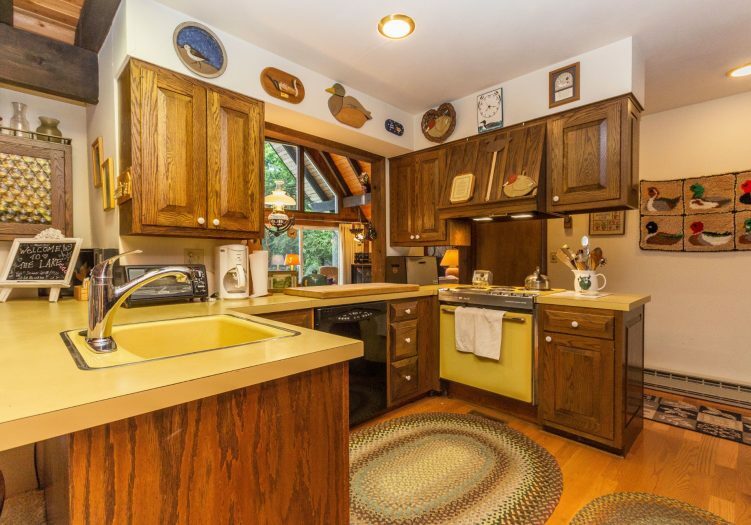 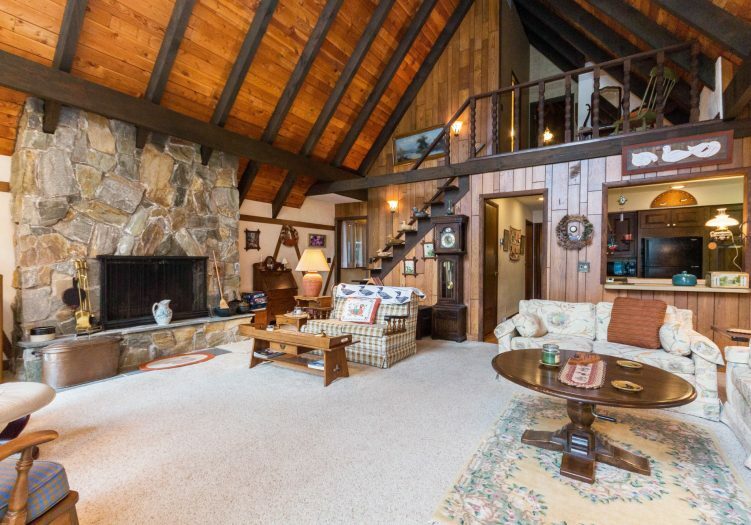 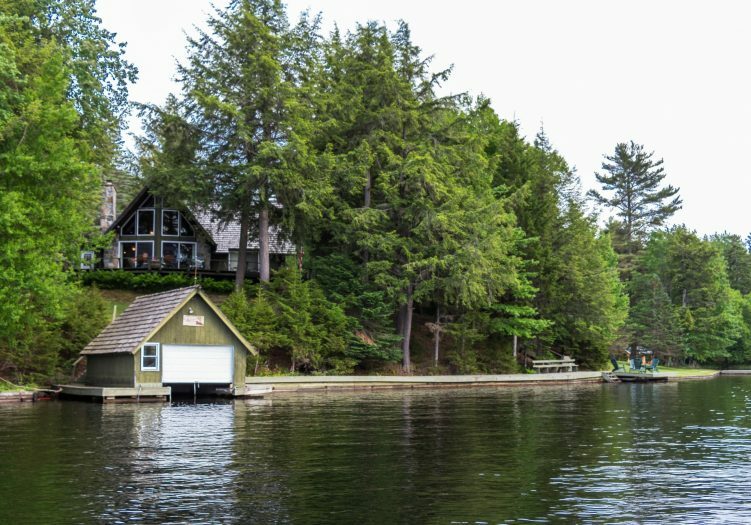 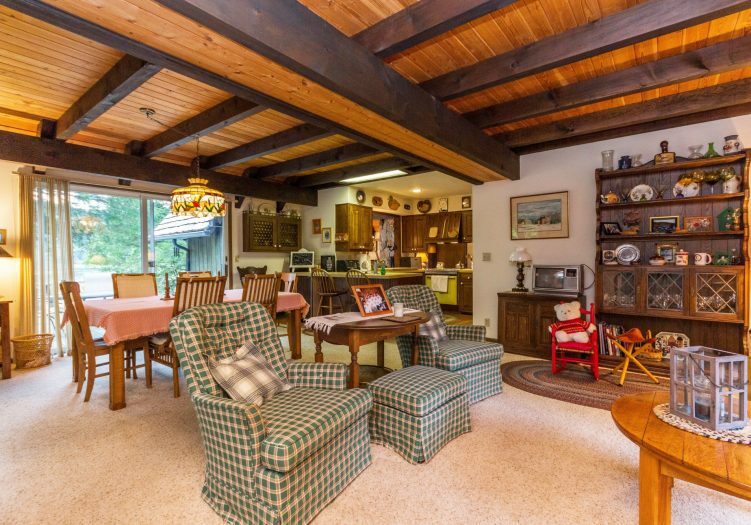 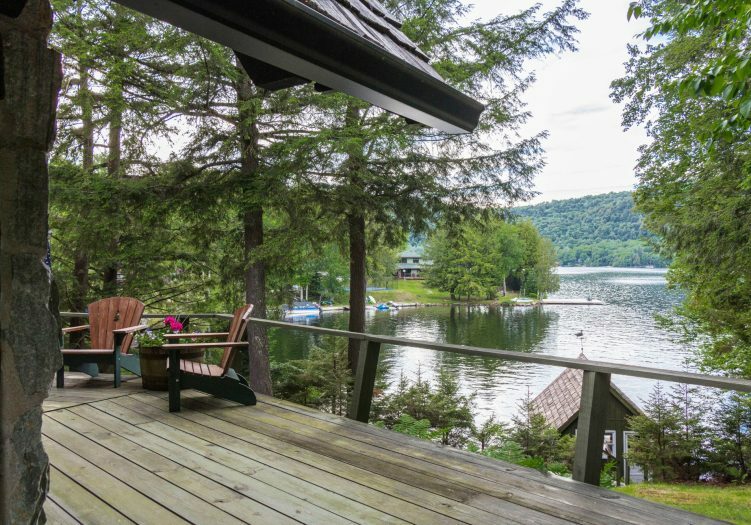 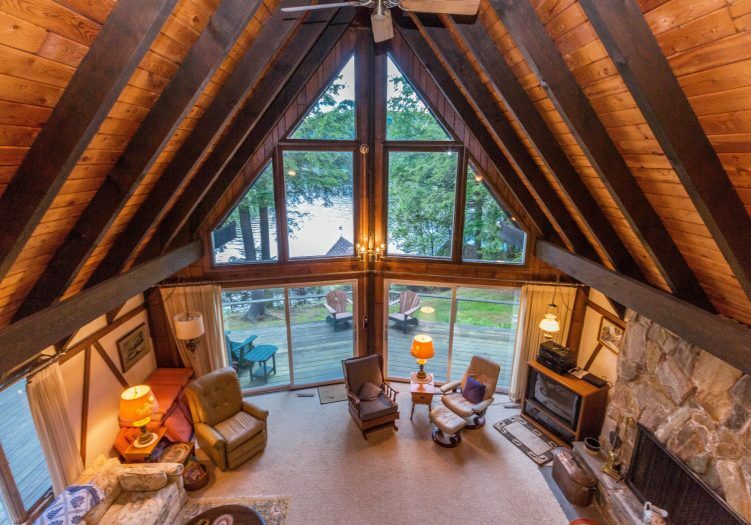 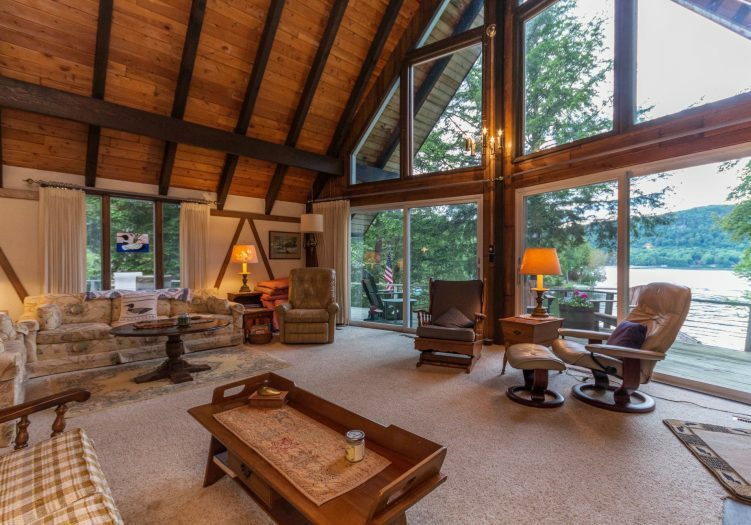 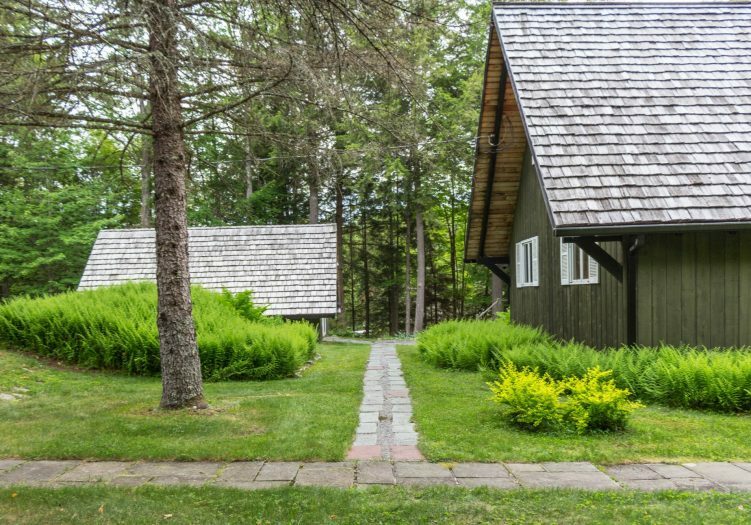 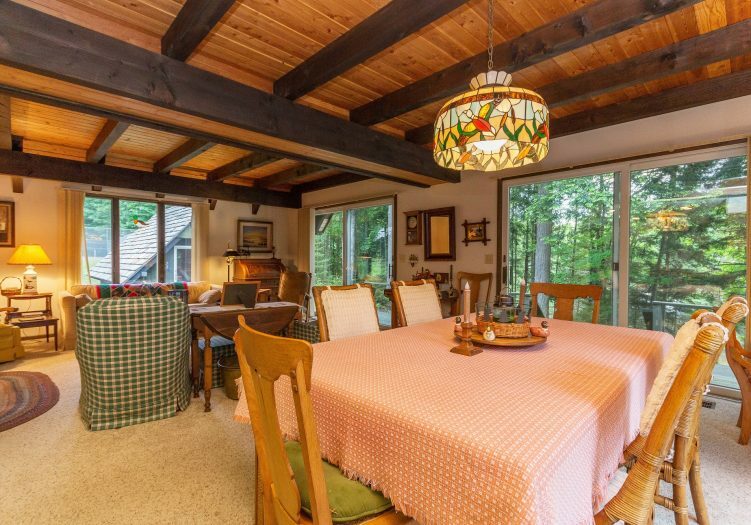 Welcome home to your new Adirondack waterfront paradise, where your family, friends and guests can join you in style and comfort at this extraordinary lakefront compound. 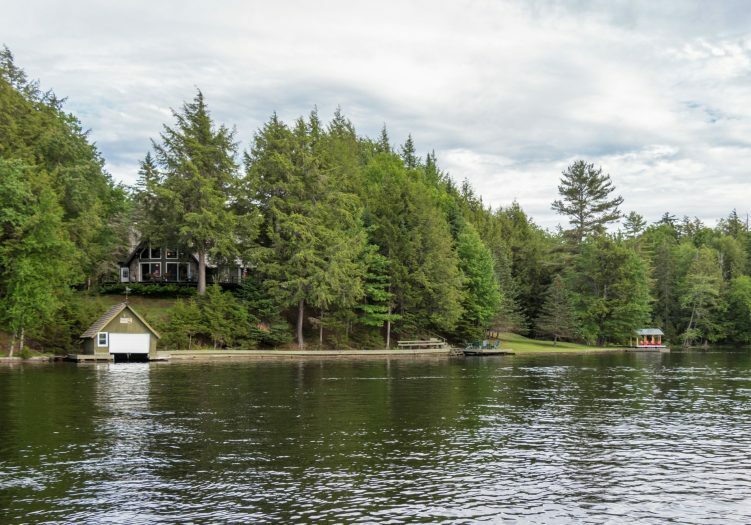 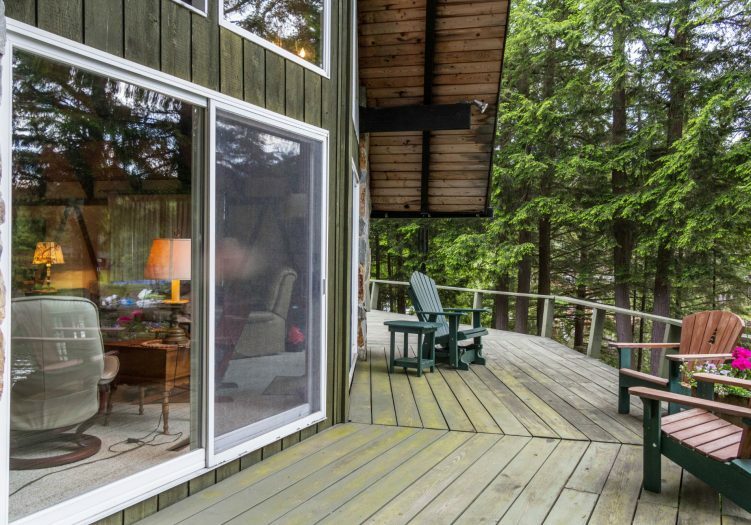 With over 5 acres and just under 400 feet of waterfront on the desirable South Shore, this property offers its new owner endless possibilities. 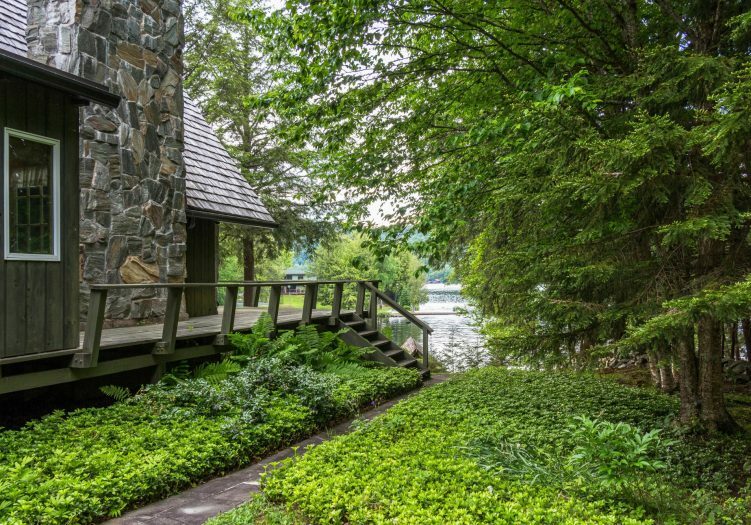 The main house is set atop a small bluff with beautiful views of the lake below and mountains afar, with a quaint boathouse and break wall wrapping the shoreline, with several docks and sandy frontage, all making the approach and usability of the lake both inviting and varied. 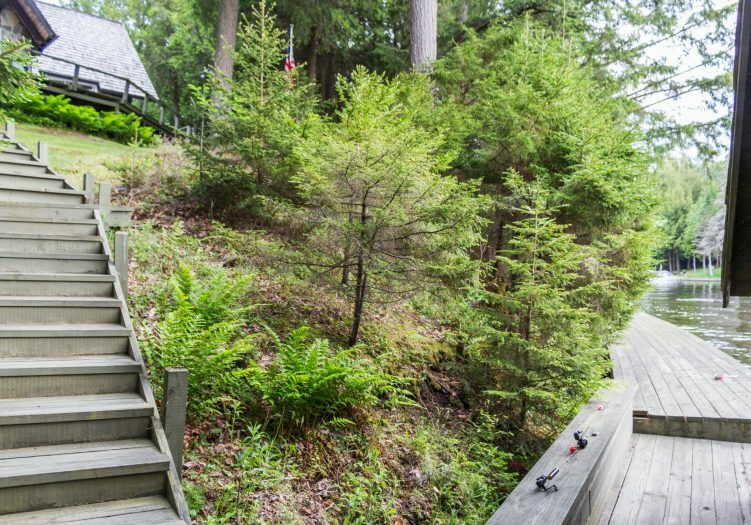 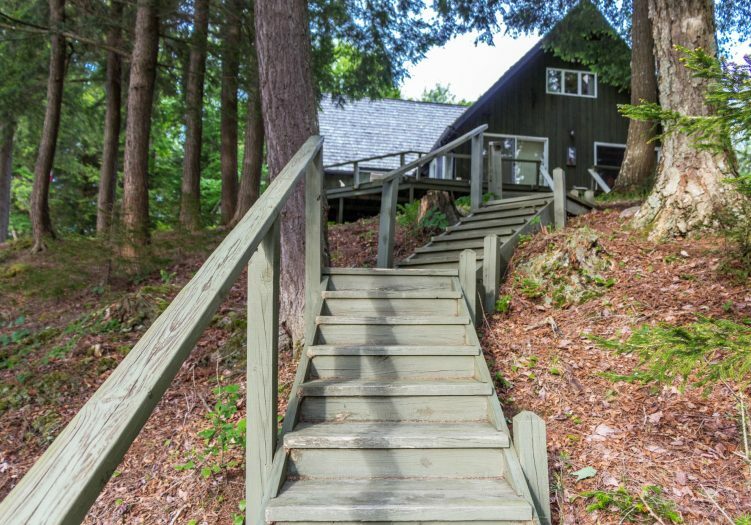 The main house sits just above the water below, and is reached after driving down a long, meandering private driveway through the forest. 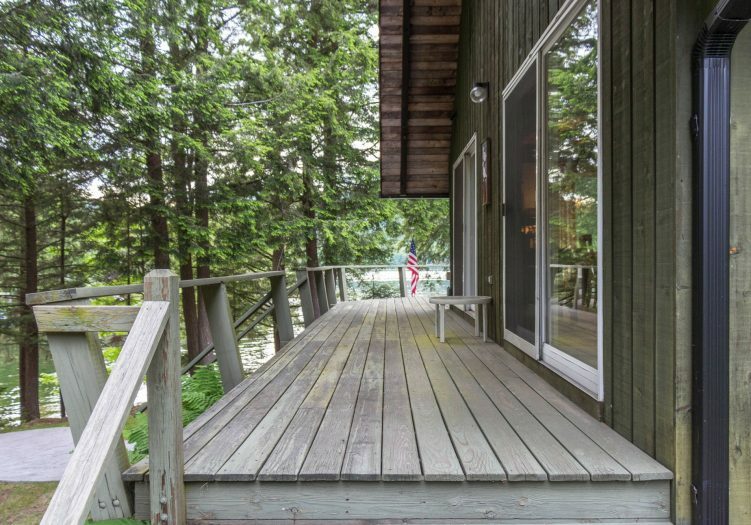 The home is year round is just over 2,300 square feet, with 4 bedrooms, 2 full and one half bathrooms, a beautiful great room with large wall of windows overlooking the lake, and an amazing wrap around deck on 3 sides of the home, providing for over 1,500 sqare feet of outdoor living area all with gorgeous views of popular Fourth Lake. 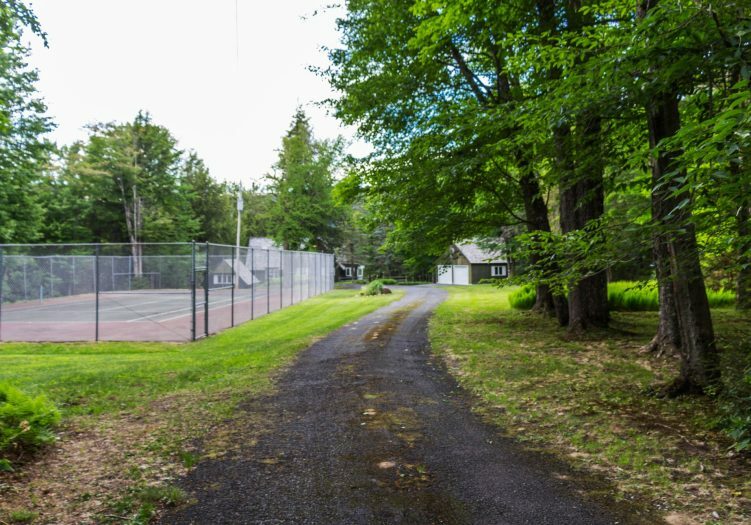 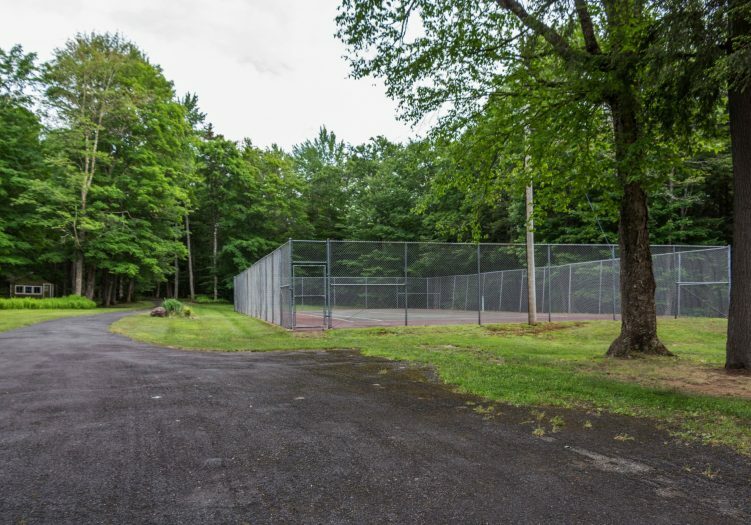 There is a tennis court behind the main house, which adds a nice amenity and flexible space for children as well. 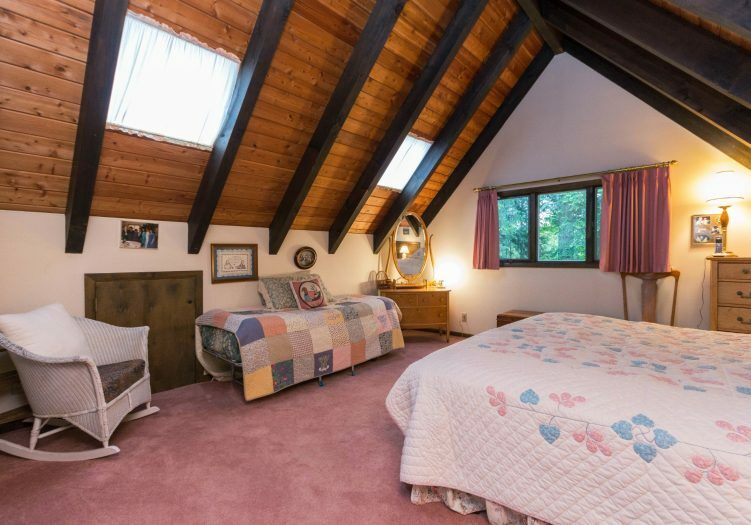 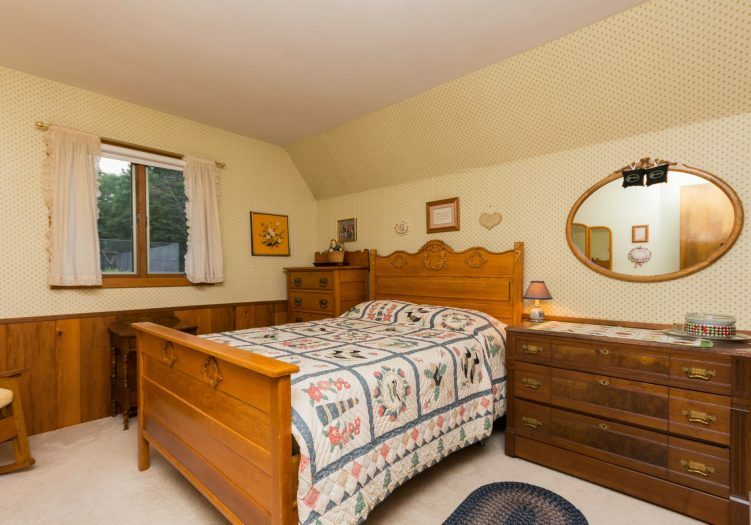 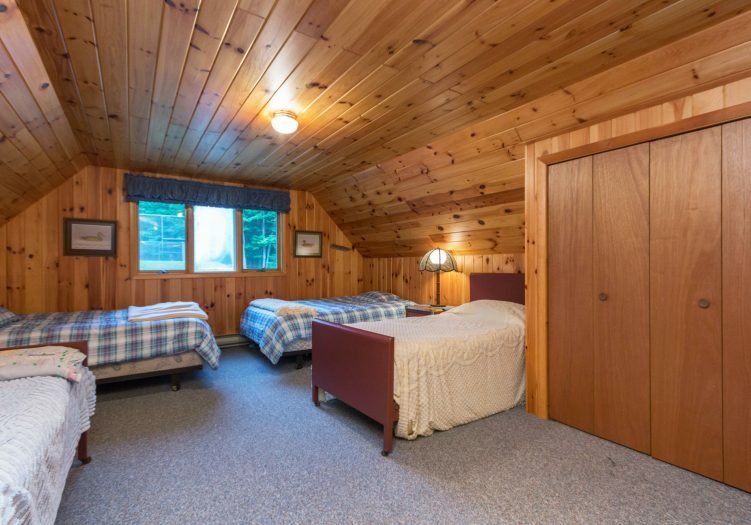 There are also several outbuildings on the property, providing additional space to sleep and house your family and friends. 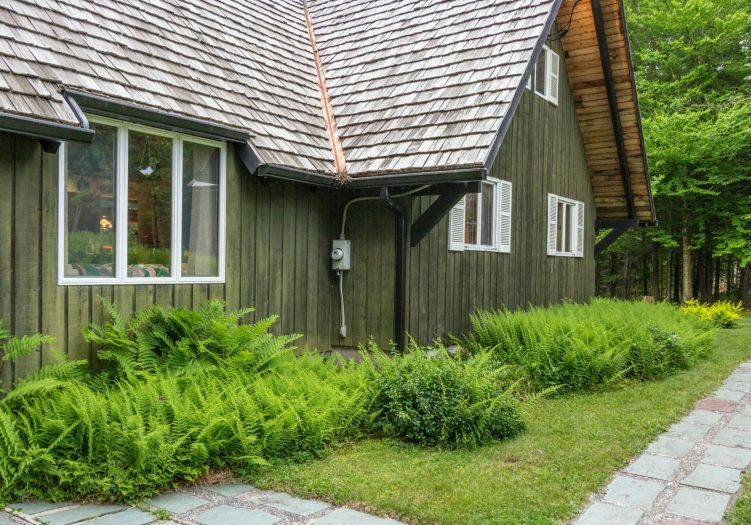 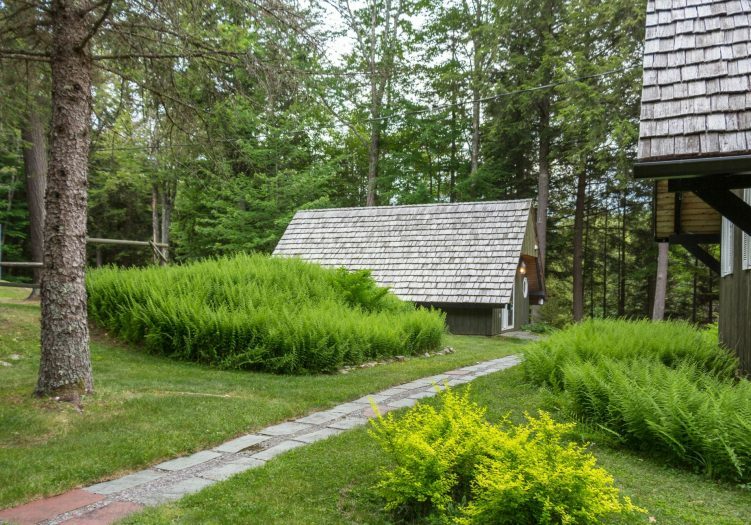 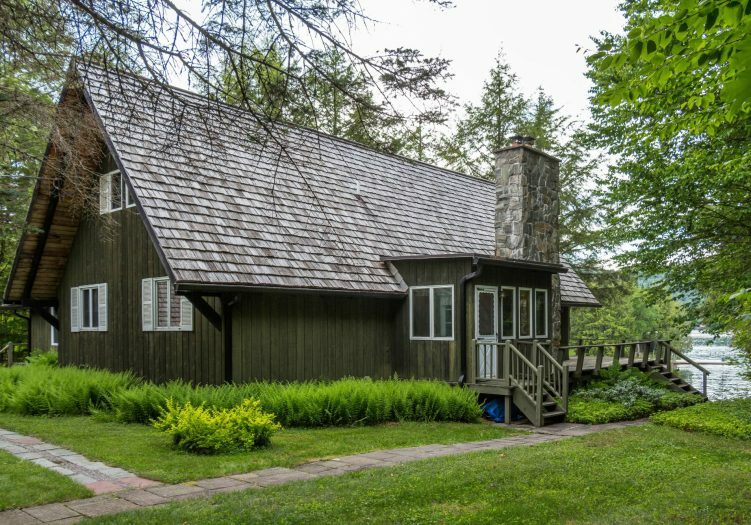 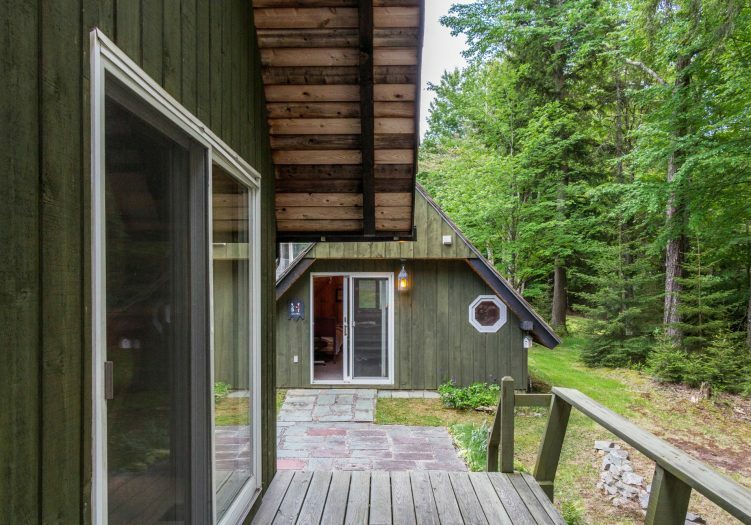 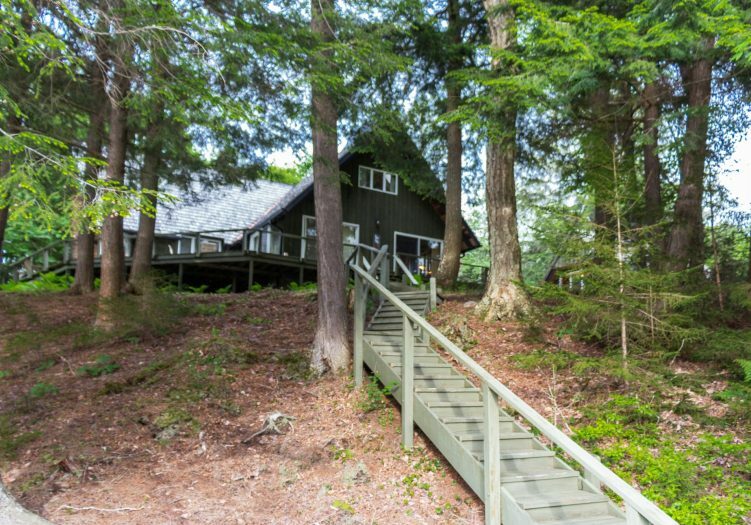 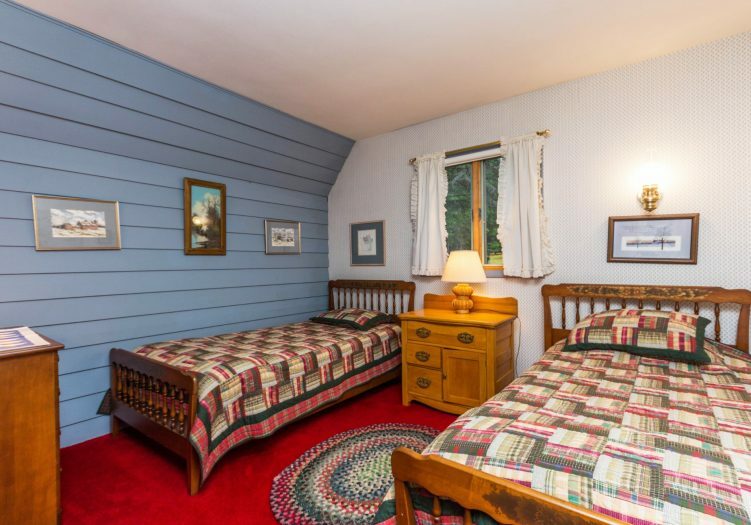 There is a a 4-season cottage directly behind the home to sleep up to 6, with electricity, heat and a bathroom. 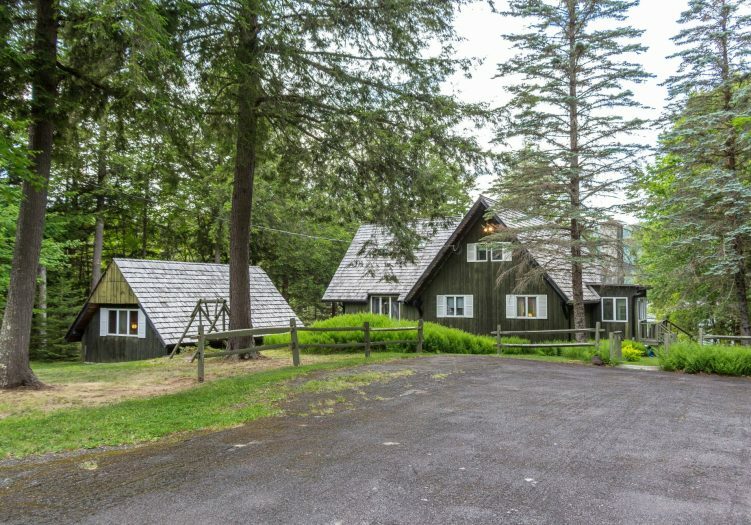 There is a detached 2 car garage. 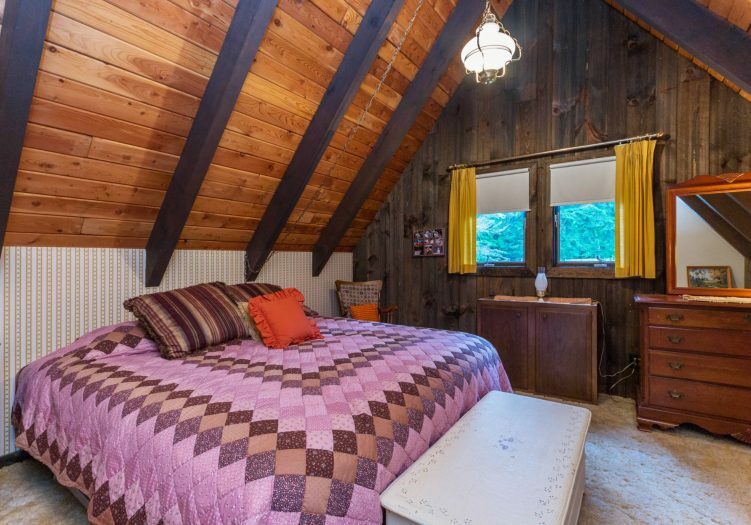 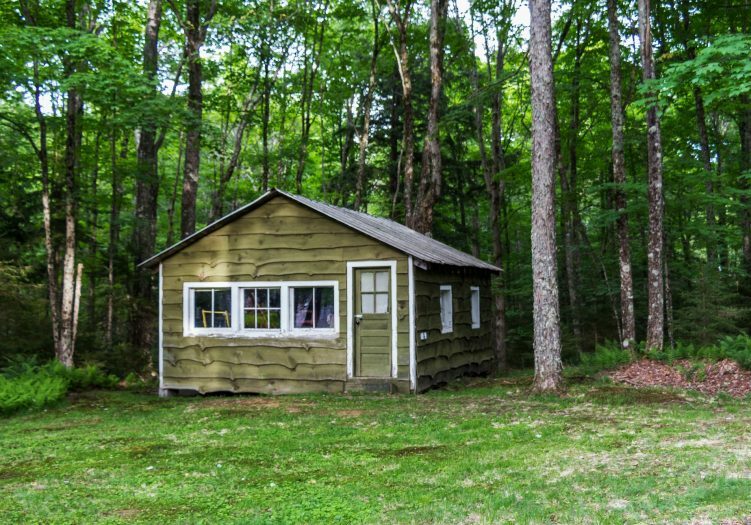 There are several storage sheds, and an old multi-bedroom cabin on the road that could be remodeled and put back into use by the new owner if so desired. 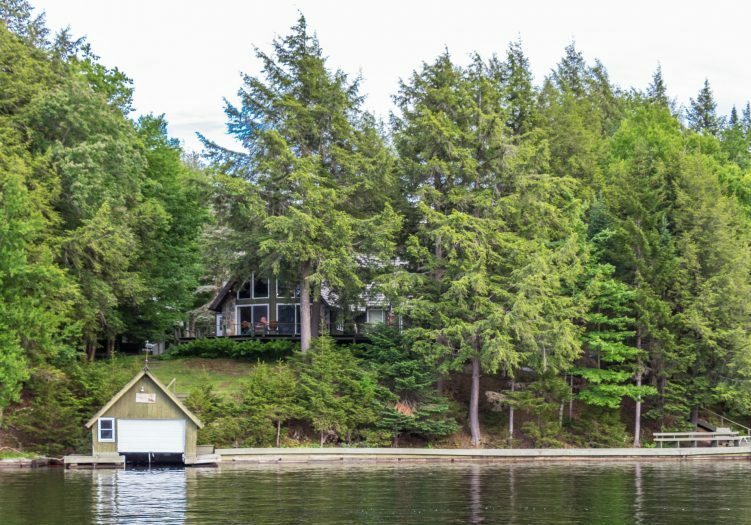 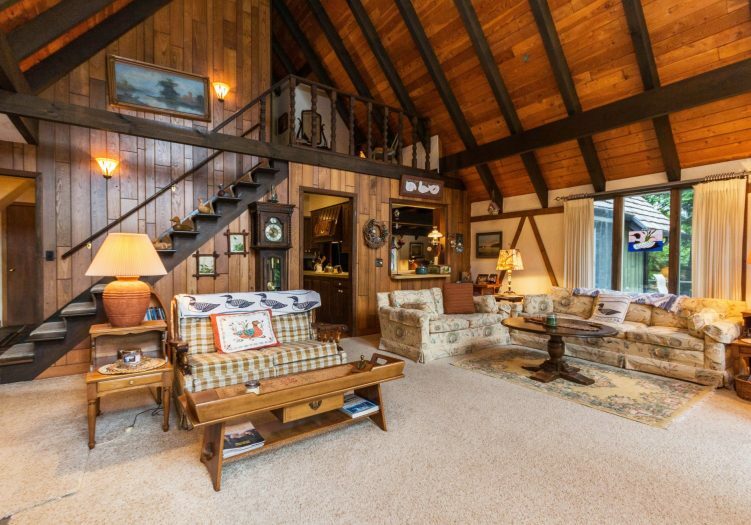 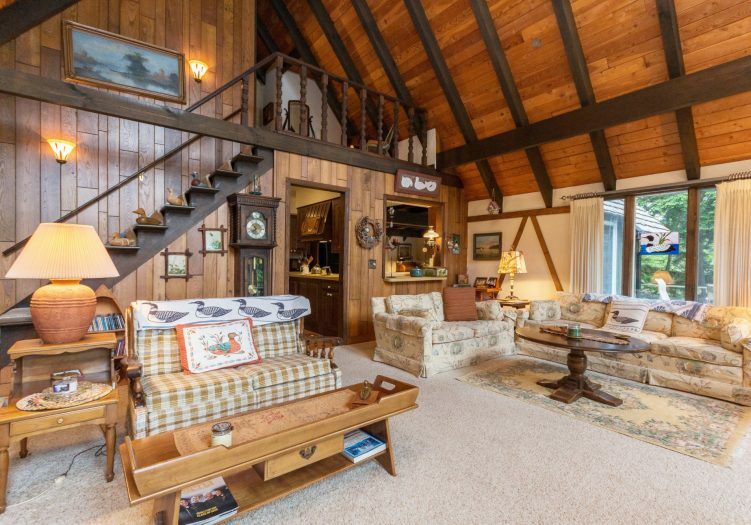 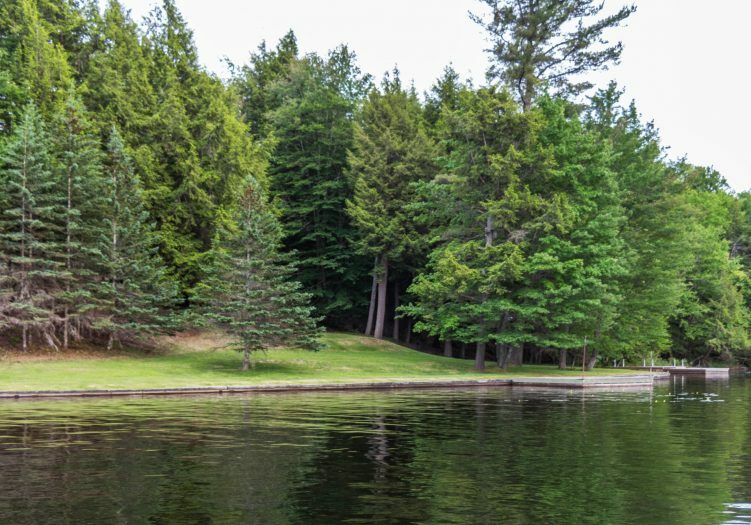 For more information on this truly unique waterfront property and family compound, and to schedule your private tour, contact our Team today.